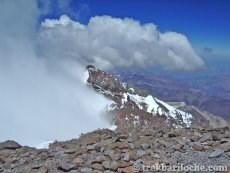 An Article I wrote in 2005 for gapyear.com about my ascent of Cerro Aconcagua (6959m), Highest Mountain in the Western Hemisphere. 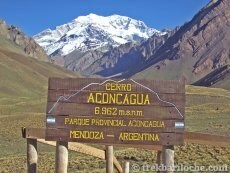 I flew to Santiago, Chile and crossed the border to the city of Mendoza in Argentina. 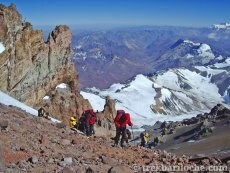 I was to have an attempt at climbing Aconcagua, that had now been a dream of mine for six years. 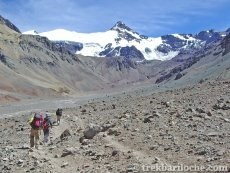 At 6,959m it is the highest mountain in the world outside the greater Himalaya Range. 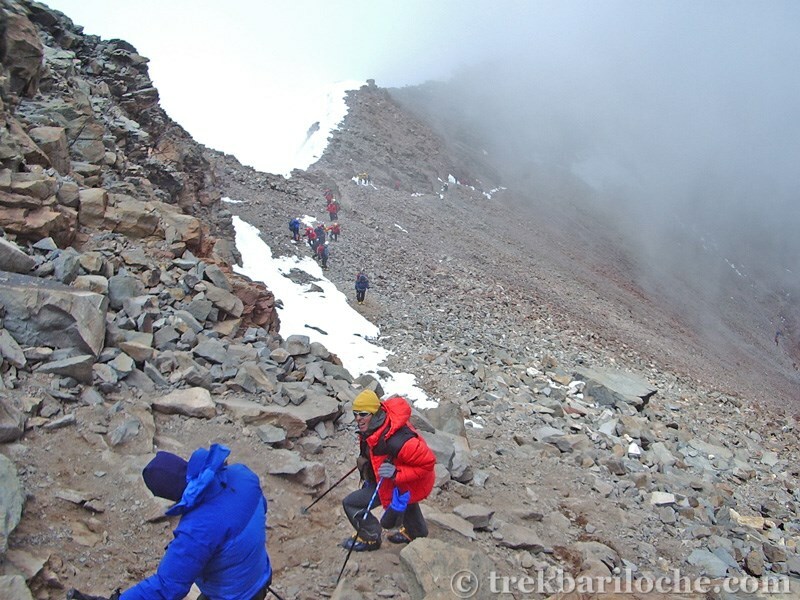 Although it has technically straightforward routes to the summit it is a serious undertaking due to its altitude, extreme cold and high winds. 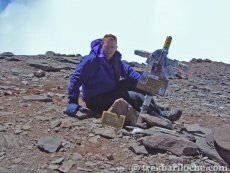 I had made an attempt six year earlier as part of my 21-month round-the-world trip, but turned around just four hours from the summit after 10 days on the mountain, due to exhaustion. 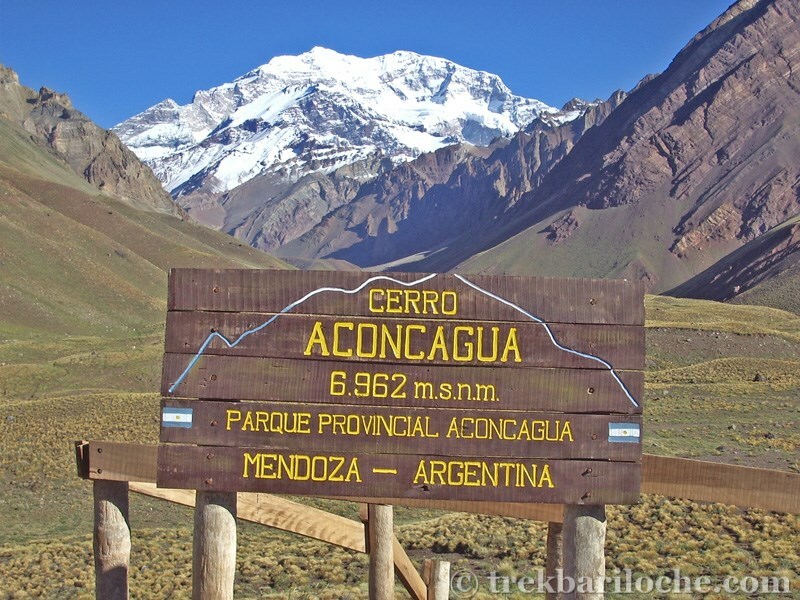 Being one of the seven summits (of the seven continents) and the highest in the Americas, Aconcagua has become a very popular mountain with thousands of people attempting to reach the summit each year, but only 40 per cent of these succeeding. Most go with organized expeditions or groups; about five per cent go alone. I was one of these. It takes about 10 days to reach the summit, as the body needs time to acclimatise to the lack of oxygen. Many days are spent in camp just waiting for the body to adjust. A permit for an ascent costs us$300 and you need to be equipped with double plastic mountaineering boots, a tent that can withstand 100mph winds, an ice axe, crampons, and a sleeping bag and clothes to keep you warm at -20ºC. 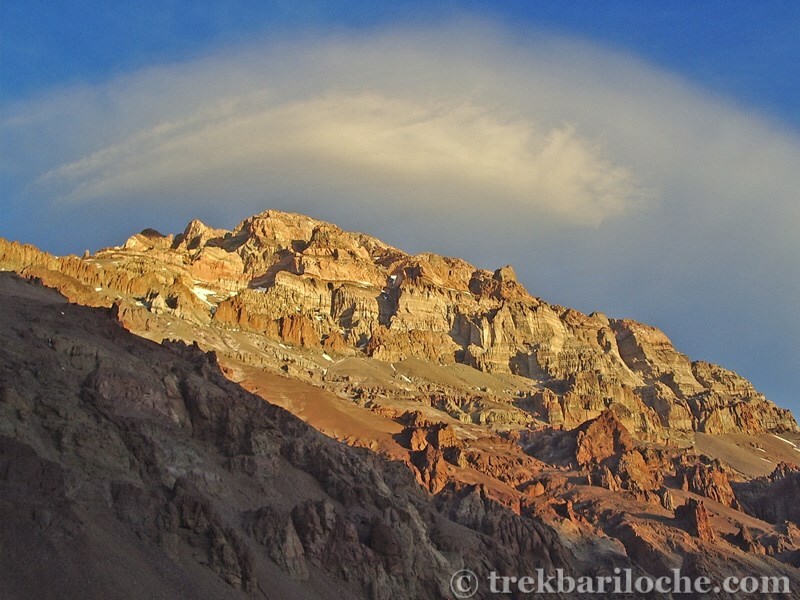 The drive to the trail head of Puente del Inca at 2,700m is just four hours from Mendoza City. 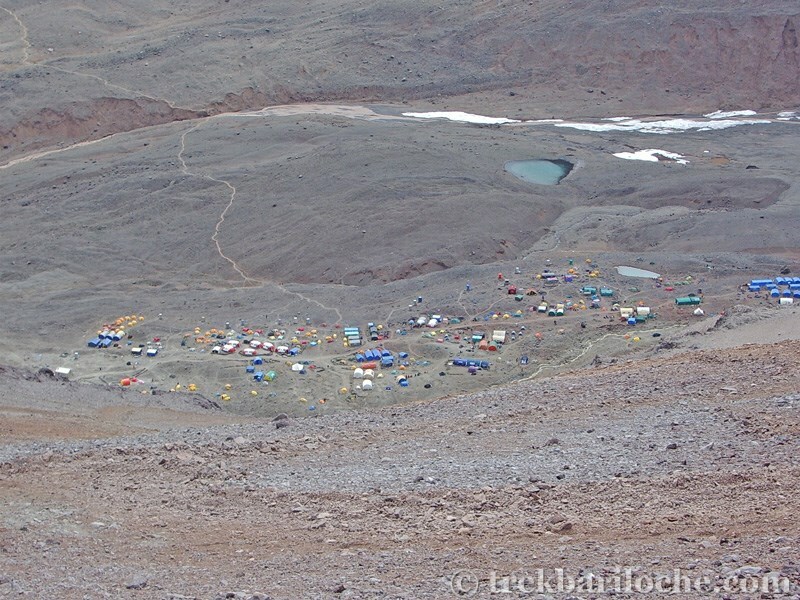 Shortly before arriving the bus passes the Andinists Cemetery, a stark reminder of the dangers of mountaineering! 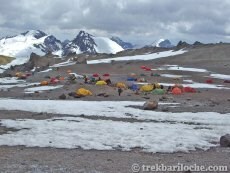 I was to tackle the ‘normal route’ which involved a two-day trek from the road into the base camp of Plaza de Mulas. 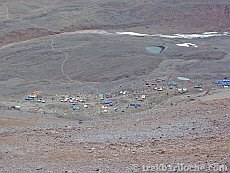 This is a mini tent city with many companies operating load-carrying mule services, beds, food and also the Park Guard Service which strictly controls the environmental impact of thousands of climbers on such a small area of the mountain and a doctors service for medical emergencies and advice on acclimatisation matters. After the long slog up the dry, desolate, dusty valley, on the second day I arrived at base camp in the afternoon, signed in with the park guards, retrieved my equipment that I’d sent up with the mules and pitched my tent. The last hour of the trek had been a tough one as my muscles rebelled against the lack of oxygen and my water supplies ran low. That evening the headaches started (a common sign of altitude problems) and would remain with me for two days as my body adjusted to the altitude. 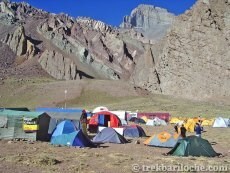 I spent a total of five nights in base camp. 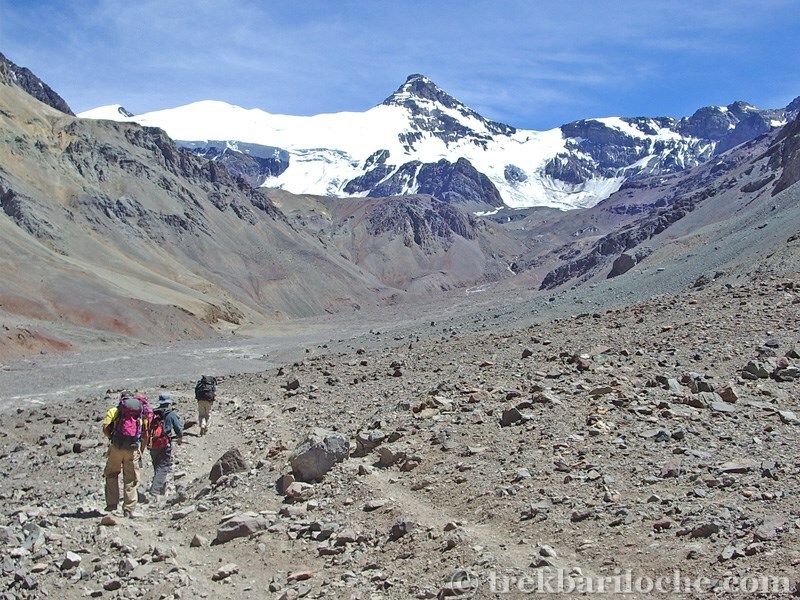 The first two days were just spent resting, drinking plenty of water and making frequent trips to the toilets as the combination of the large quantities of liquid intake and the effect of the altitude (it has a diuretic effect) took their toll. Canada, I turned and headed down. Four hours walking up and I was back in base camp after just one hour of sliding down the screes. By mid-evening the headaches had gone. The next morning the winds had increased and the famous Viento Blanco (white winds) had arrived. As I made another trip to Nido de Condores camp, this time with food to deposit there for when I moved there to set up camp, I passed a Australian guy who was retreating from a high camp after his tent had been destroyed by the winds during the night. I heard more stories of tents flattened in Camp Canada. I successfully made my food drop and retreated to base camp. On the fifth morning in Plaza de Mulas I packed my rucksack, took down my tent and headed once again back up the mountain, this time to sleep at Nido de Condores. The ascent was much easier than it had been two days earlier as my body had adapted well to the altitude. 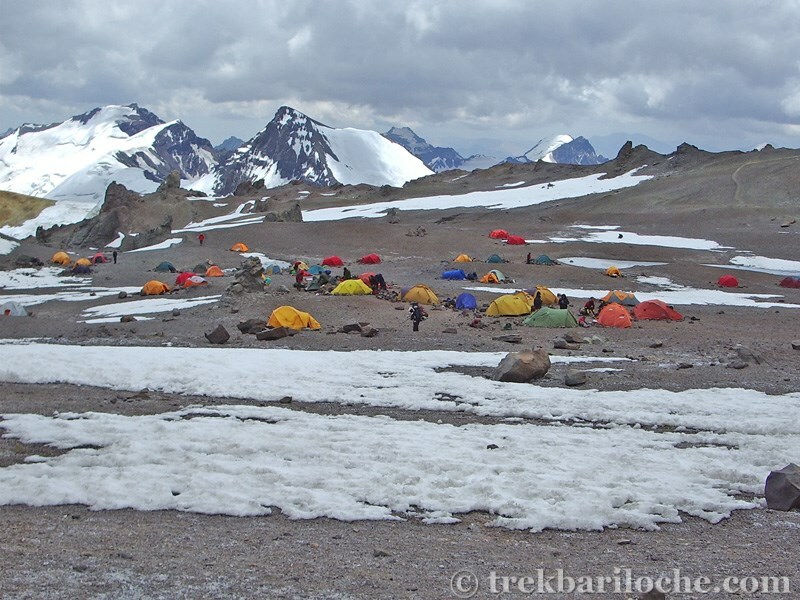 I spent two cold nights at Nido, with temperatures dropping to -10ºC, and carried out an acclimatization trip to the higher camp of Berlin at 5,915m from where six years ago I had camped before making a summit attempt. Summit day was upon me. I was ready to leave my tent by 5am and by the light from my head torch I set off up the mountain. I joined six other people on the trail for a short time, but wondered if my pace was too fast as before too long I could barely see the glint from their head torches back in the distance. 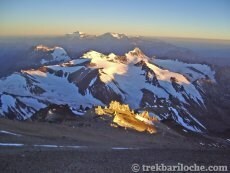 I reach Camp Berlin by 6am and turned off my head torch as the sun was beginning to rise. I looked at my thermometer: it read -15ºC. Two more hours passed as I slowly plodded along the path. I wasn’t even putting the heel of one foot in front of the toe of the other as I steadily moved forward; the lack of oxygen prevented me from walking any faster. It’s not until you are at this altitude that you realise how hard it is. 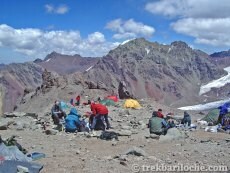 From my tent to the summit was little more than two-and-a-half km but was going to take me in excess of seven hours! 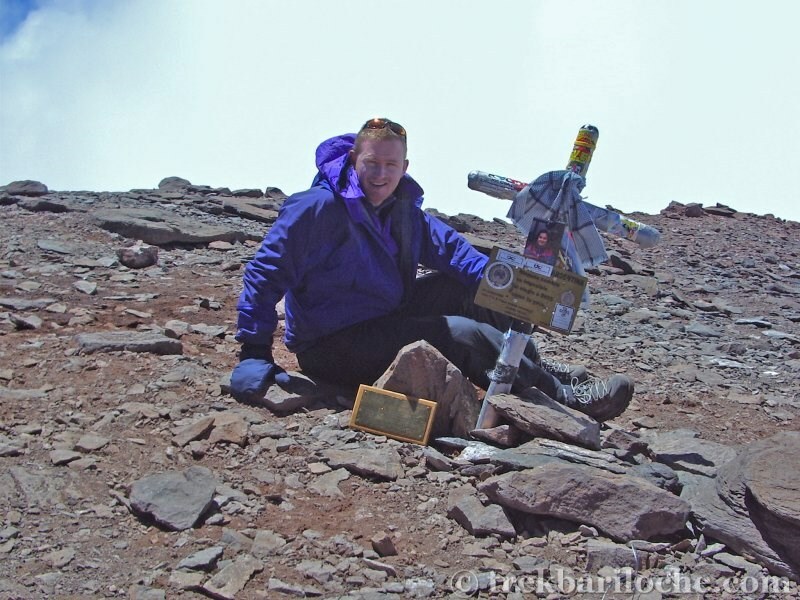 At 9.00am I reached 6,600m, the point where I turned back six years ago. I felt confident as I was still going strong. I passed many more groups probably totaling about 40 people and did not stop for a proper break until I reached the bottom of the Canaleta at around 6,750m. By this time I was very tired. I ate and drank as much as I could. For the first time the sun was upon me and I soaked up its warmth before my final 200 vertical metres to the summit. These were the slowest, taking two hours. I needing to rest after every five paces as I negotiated my way between the loose rocks towards the summit. I had thoughts of quitting as my body ached and the lack of oxygen played funny games with my brain, but I continued and after 10 days on the mountain and six years of dreaming I took my final step onto the summit. I wasn't so much overjoyed as relieved to finally be there. Looking down at the huge line of people following me onto the summit took away the sense of achievement I had expected, but even now back in the civilization, a smile comes across my face when I think of the moment I achieved my dream.